Niobium is a raw material for which there is a strong global demand, particularly in the steel industry. In pipelines, for example, niobium ensures that the steel does not become brittle even at sub-zero temperatures. In car body engineering, niobium makes the steel stronger and also more ductile, improving the vehicle's crashworthiness characteristics. The metal ore that contains niobium is mined mostly from volcanic rock in Brazil and Canada. The global leader in niobium mining, the Brazilian company CBMM, is currently funding a researcher in materials science at Saarland University and Steinbeis Material Engineering Center Saarland (MECS). With the help of atom-probe tomography, the researchers want to determine how niobium is incorporated within steel at the nanostructural level and how its influences the steel's properties. Niobium is used in comparatively small amounts in steel production. 'Niobium accounts for only about one in every 10,000 atoms in steel. It's therefore all the more surprising to see what a major effect these small concentrations have. The presence of niobium makes the steel tougher meaning that it becomes more stretchable without losing its strength. Niobium also prevents steel from becoming brittle and breaking like porcelain at sub-zero temperatures,' explains Professor Frank Muecklich from the Department of Functional Materials at Saarland University. This is particularly relevant in the case of oil and gas pipelines that have to operate at arctic temperatures. In the automotive industry, niobium acts as an alloying element in the steel used to make car body parts, so that the vehicle is able to absorb enough energy on impact to protect the passenger cabin in the event of a crash. 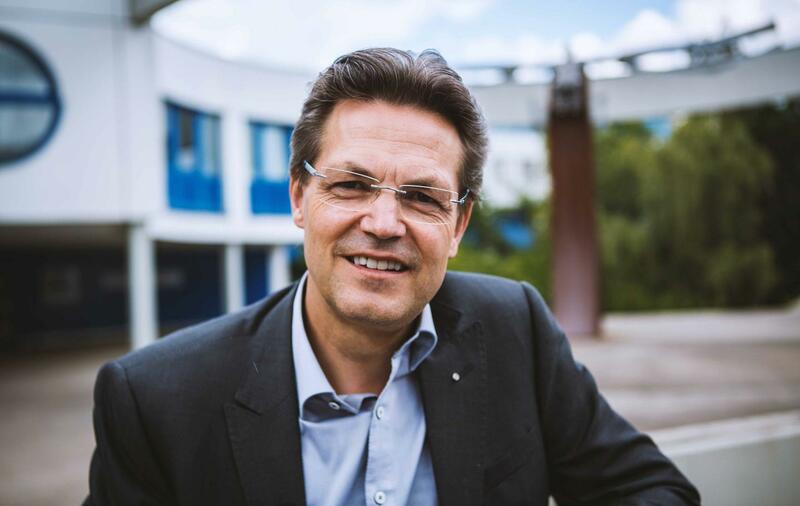 'Niobium is also used in superconductors, as a number of compounds that contain niobium are able to conduct electric current without loss at low temperatures,' explains Frank Muecklich, who also heads the Steinbeis Material Engineering Center Saarland (MECS) in Saarbruecken. His research team specializes in performing spatial analyses of the internal structures of materials at different dimensional scales and has developed a number of three-dimensional methods for use in this field. Over the last few years, the researchers have been able to fine tune their techniques to produce a suite of closely aligned methods for the structural analysis of materials. 'We make use of high-resolution electron microscopy as well as nano-tomography and atom-probe tomography. The information and image sequences that we produce are then fed into a computer where they are combined to generate an exact spatial representation of the material structure, in some cases right down to the level of individual atoms,' explains Professor Muecklich. Using their 3D analytical techniques, the researchers in Saarbruecken are now in a position to quantitatively map the internal structure of steel and to identify the mechanisms that control specific required material properties. 'We want to understand the internal structure of steel as precisely as possible and we want to know the role the niobium atoms play in the steel's microstructure and how this changes over the course of the steel production process. Only then will we be in a position to design the internal structure of the steel for a particular technical application and the desired properties. We would then know, for example, how to use niobium in the most effective way to produce superior material properties and how we can reduce other costly alloying elements or expensive process steps by targeted employing of niobium,' explains Muecklich. Professor Muecklich presented these precision 3D analytical techniques to an elite group of niobium researchers from around the world, who were invited last year to a workshop that was held on the Saarbruecken campus. The Brazilian mining company CBMM wants to encourage niobium research and is therefore supporting materials research in Saarbruecken through the project 'Niobium in Steel' by providing funding for a researcher for three years. The aim of the research work is not only to achieve a more detailed understanding of the mechanisms within steel, but also to improve control of the steel production process itself. Note for radio journalists: Studio-quality telephone interviews can be conducted with researchers at Saarland University using broadcast audio IP codec technology (IP direct dial or via the ARD node 106813020001). Interview requests should be addressed to the university's Press and Public Relations Office (+49 (0)681 302-3610).